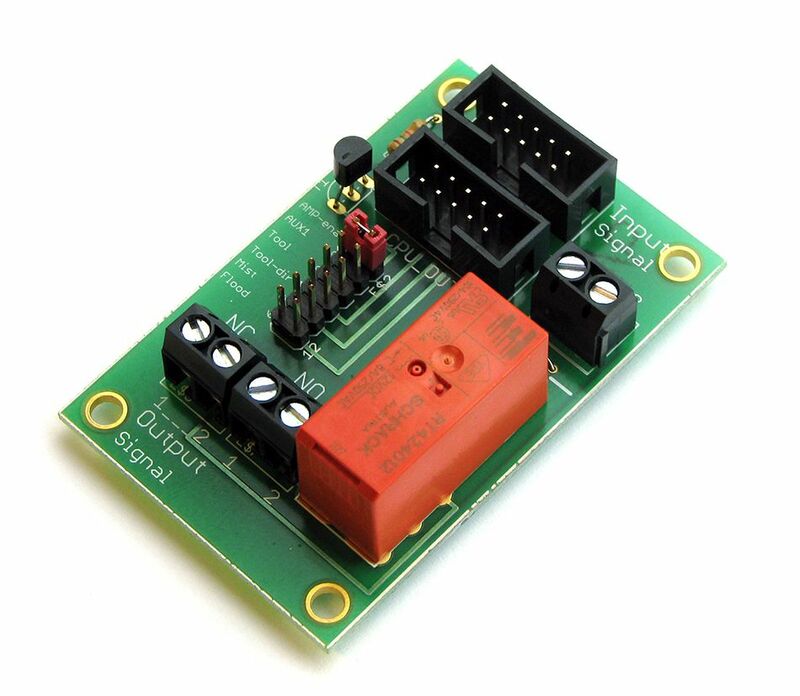 We use this circuitboard already for several years in our RTR controllers. It is integrated as a standard item in the RTR performance, to activate/deactivate the electormechanical brake often used in the Z axis of CNC routers. But it is also possible via a jumper to select a different channel like Tool or Flood to switch the relay on the board. The relay has a dual output so you can use an NO or NC connection. If you need more information, please read the PDF in the downloads section, there you also find information on how to use it with USBCNC.